Background to Syria's power struggle Jump to media player As US Secretary of State Hillary Clinton accuses the Syrian government of killing more than 2,000 of its own citizens, the BBC's Mike Wooldridge reports on the background to the conflict in Syria. 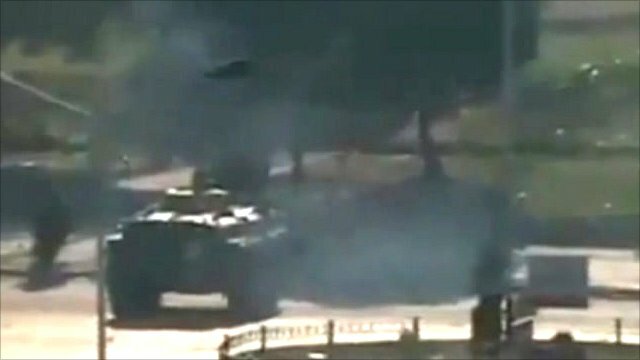 Tanks 'reach the centre of Hama' Jump to media player As the UN issues a statement condemning the actions of the Syrian government, activists in the country say tanks have moved into the centre of the city of Hama. US Secretary of State Hillary Clinton has accused the Syrian government of killing more than 2,000 of its own citizens during its ongoing crackdown against opposition activists. Reports from inside Syria suggest the suppression of protest in the city of Hama is continuing. As the unrest escalates, many fear the country is dividing along sectarian lines. 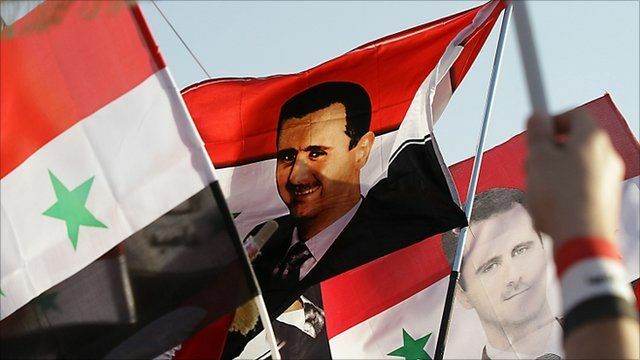 President Assad and his family are from a branch of Shia Islam known as the Alawites, who have a stranglehold on power, as the BBC's Mike Wooldridge reports.